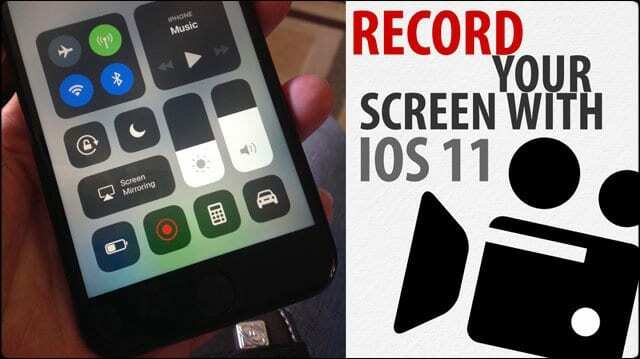 The ability to record your iPhone or iPad Screen is very helpful at times. 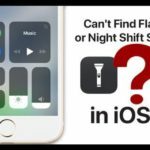 Imagine sharing your gaming prowess with your friends or taking a video recording of the problem that you are experiencing on your iPhone in order to get better service. 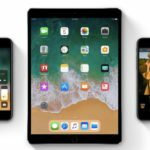 Now with iOS 11, you can easily record your iPhone screen without using a third party app or even jailbreaking your iPhone. 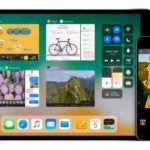 iOS 11 offers a lot of new features that were not available in iOS 10. One of these features is the new and improved ControlCenter that comes with a wide variety of controls. 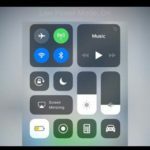 Screen Recording is a control that is available in the control center for you to use. Scroll down to the ‘More Controls’ section. And locate ‘Screen Recording. If you don’t see this control in your center, add in ‘Screen Recording’ control by tapping on the “+” on the left side of the control. 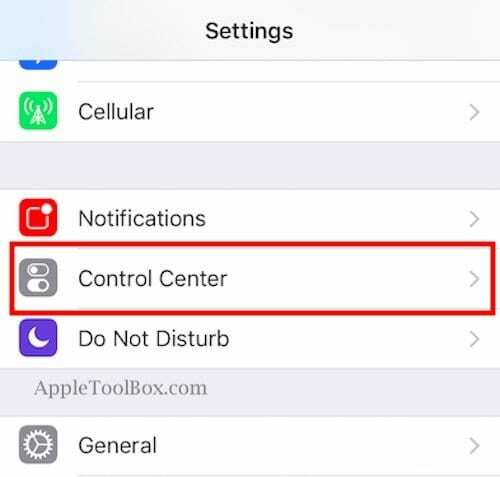 This includes the control in the list of available controls in your control center. Exit out of your Control Center Settings and swipe up to preview your control center. You should now see the ‘Screen Recording’ control. Now you are ready to start using the Screen Recording feature on your iPhone. 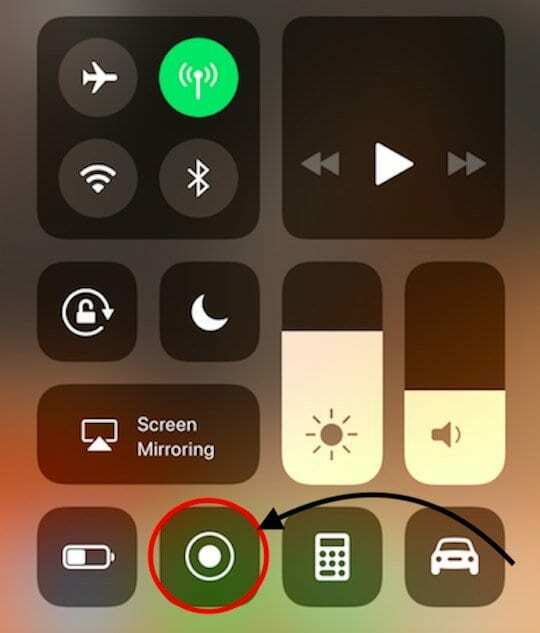 In order to record your screen, swipe up to access your control center and tap on Screen Recording control. This turns the control in the familiar red recording status and it will begin recording your screen. 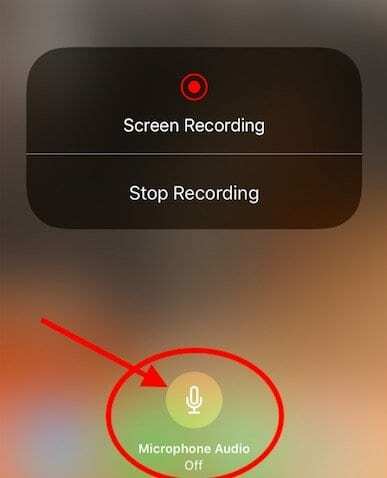 You can also use the microphone to add in voice or music while recording the screen on your iPhone by tapping on the Microphone button to enable it. 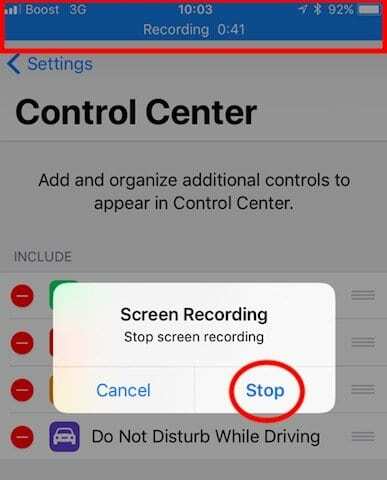 As the iPhone is recording your screen, you will find a blue bar on the top of your screen showing the duration of your recording etc. Tap on it at any point during the recording and you will find the option to “Stop” the recording. Tap on the “Stop” button to finish recording. 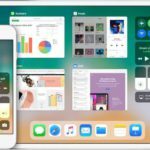 Your iDevice automatically stores your video in your Photos app. 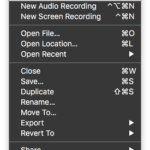 You can access the screen recording there or sync it to iCloud and access it on your Mac to edit it. These screen recording videos are automatically converted to MP4 files and saved on your device. 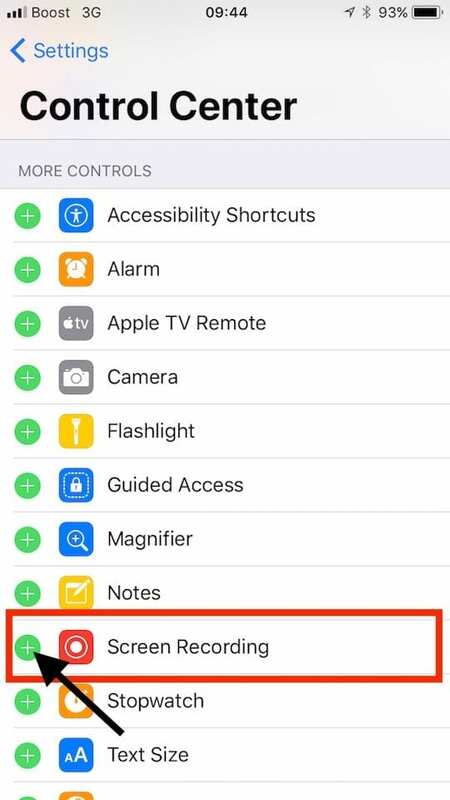 This new feature in iOS 11 makes it really easy and practical to record your iPhone screen when you need it without using any third party app.